365 Fashion and Lifestyle: CONSIDERING LIFTING. THE FRENCH WAY. CONSIDERING LIFTING. THE FRENCH WAY. Why French women never show their age? Because they follow a very basic rule: prevention. If you live by the rule you should also know that starting 25 you have the green light on using a lifting cream. 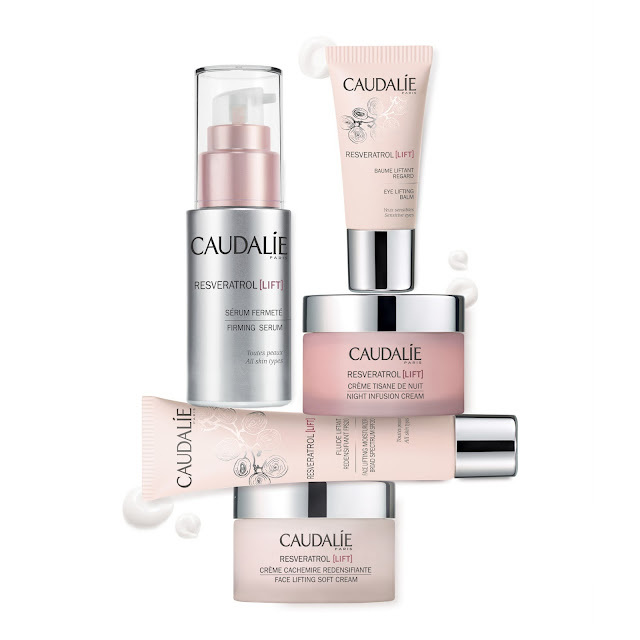 Caudalie's latest collection, Resveratril [Lift], plumps, lifts, firms smooths and nurishes at the same time, tanks to its two star ingredients vine resveratrol and hyaluronic acid, patented with Harvard University. the Eye Lifting Balm and the Night Infusion Cream.